Autonomous ErgoChair Review - Is This Office Chair Worth The $250? 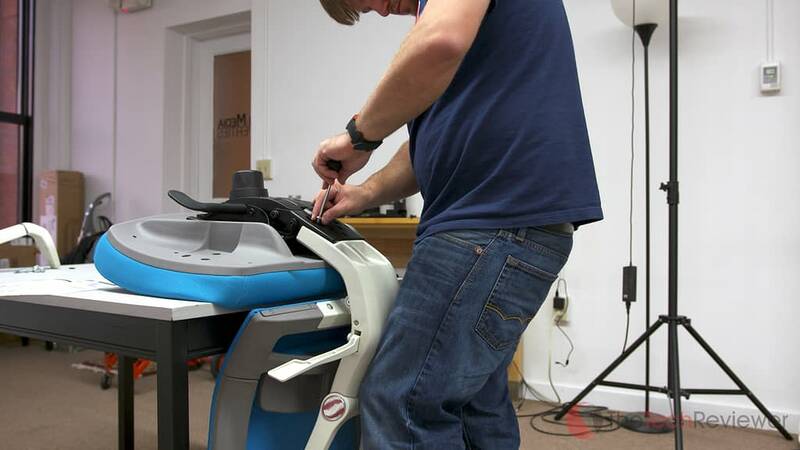 The Autonomous ErgoChair is an ergonomic office chair affordable enough for most consumers. I often stress to consumers who spend a lot of time sitting at a desk for work or leisure that investing in ergonomic office furniture will pay for itself in the long run simply through the health benefits. 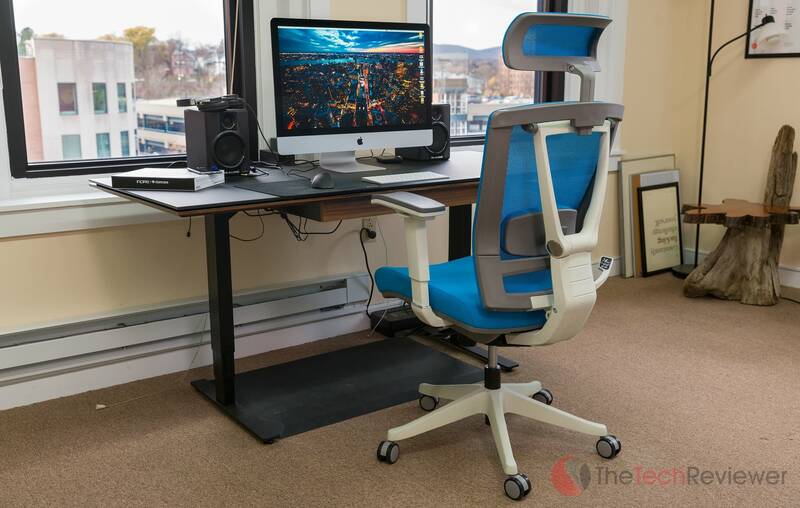 In the past, we have covered sit/stand desks from The Human Solution and BDI as well as a high-end office chair by Herman Miller but these items are often too expensive for our readers who remain on a tight budget. In the following article, we will take an in-depth look at a new office chair solution from the folks over at Autonomous. 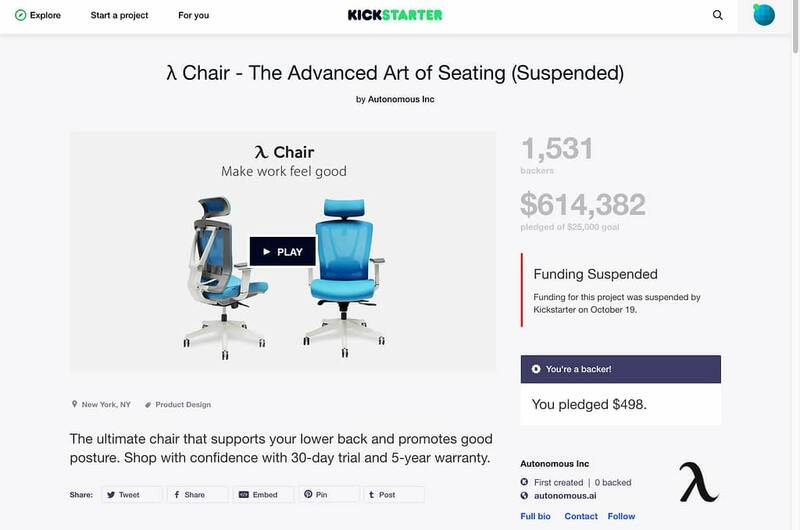 This product initially went up for sale via Kickstarter and raised a $25K within the first 24 hours, but its funding efforts were ultimately suspended due to complications with the Kickstarter terms of service. 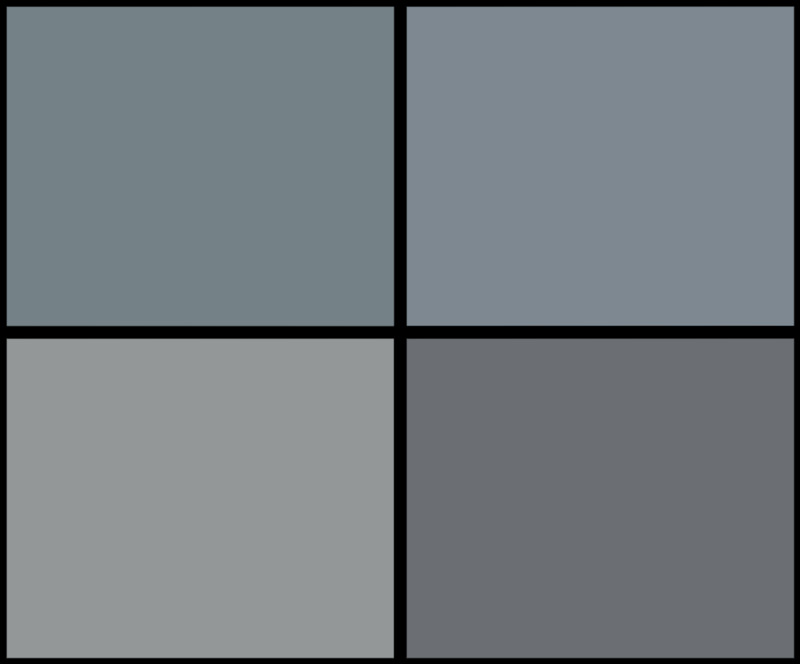 There are two sides to every story, and I don't know all the facts on either side, so I'm not going to go deep into the controversy surrounding the ErgoChair's KS campaign. From a bit of research, the violation appears to have been due to this product being manufactured and sold already overseas (this is an Asian company) from another brand name although the web page where this was advertised has since been taken offline. While this may be concerning to some buyers and be enough of a red flag to halt future business with the company. At the end of the day, as long as no laws were broken (counterfeit goods, intellectual property stolen, etc.) I care most about receiving a quality product that works as advertised and provides enough value on the dollar to make it a worthwhile investment of my hard-earned money. As a result of the suspension, all backer pledges were never charged, and Autonomous instead opened up pre-orders on their website with a special introductory discount to make up for the hassle of the Kickstarter debacle. 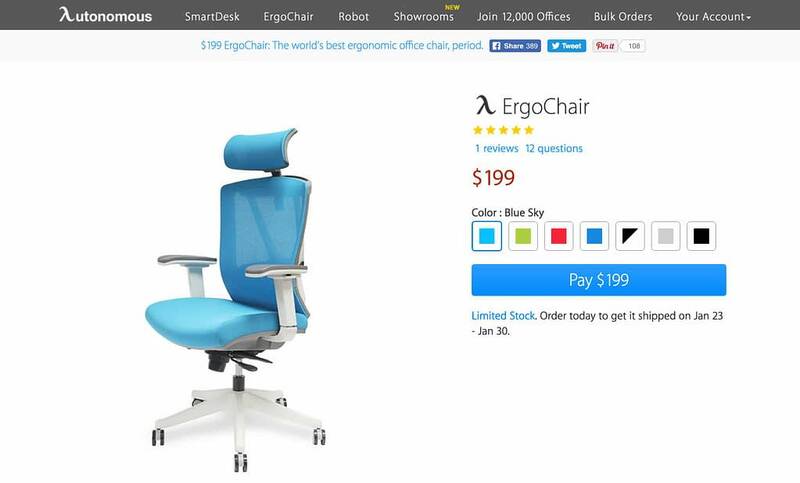 This promo pricing has ended, and the ErgoChair can be purchased through Autonomous.ai for $199 plus shipping with some color options priced at $249. I have been in touch with PR reps from Autonomous surrounding the whole Kickstarter debacle, but the company did not provide a free evaluation product (in fact, they wouldn't even entertain the idea). 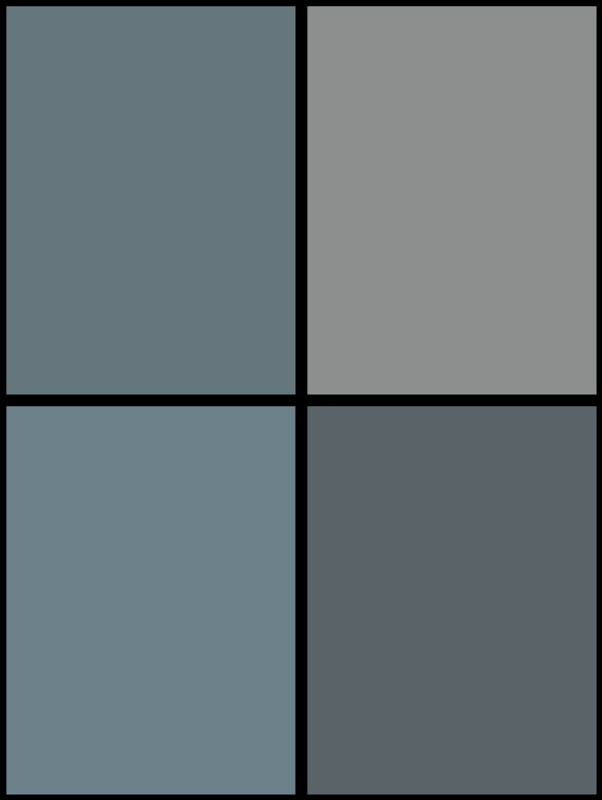 This means that I paid the full introductory price for my sample unit, and all they did was provide a faster shipment queue by swapping my color choice to an option that was readily available for shipment at that time. 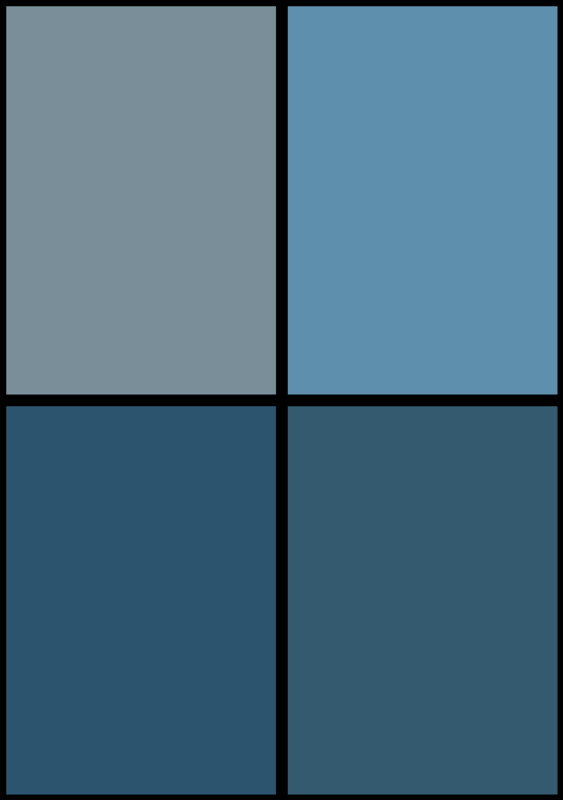 In this case, that was the ”Blue Sky' variant (I had originally placed my order for Black/White). Rest assured, all opinions expressed below are a result of my hands-on use with the product in question, and no outside influences or bias have played any role in the outcome of this review. The ErgoChair came in a rather large box that weighed just under 65lbs delivered by Fedex and left on the front steps to my house. I had to transport the box from my house to our office which was quite a task by myself due to the weight and oversized packaging which made for awkward handling. The package was double boxed to ensure contents of the chair were not harmed during transit, so that was a nice little plus especially since the exterior box endured a bit of rainfall while it sat on my front steps unattended. 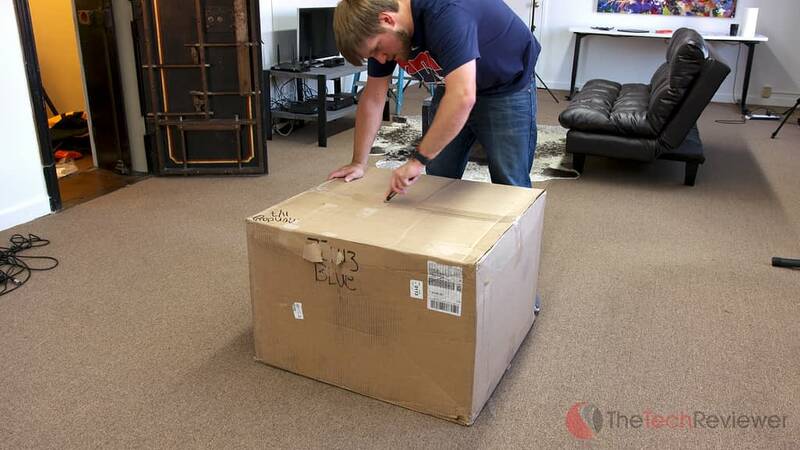 After opening up the package, the chair was split into several pieces, all neatly wrapped. Autonomous included a sheet of brief instructions as well as the necessary hardware and an appropriately Allen key required for assembly. I followed the instructions as best I could as it is clearly translated (poorly) from another language. The process is rather straight forward with my only complaint that they didn't clearly explain which washers are supposed to go where, so I had to improvise on these elements (in fact, the washers aren't mentioned at all in the instructions). The process from start to finish took about 35 minutes alone although I think you could cut this down to a half an hour or less with someone to help hold the pieces in place, etc. 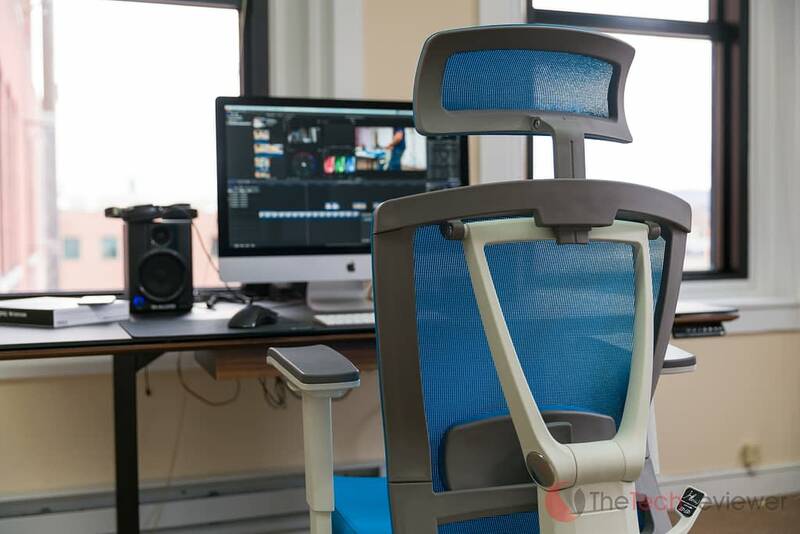 For those of you who have read our Herman Miller Embody review, you know that I took the financial plunge a few years back by investing in the high-end model with the intention of using it daily for many years to come. While the build quality and comfort level is top-notch, the price-point is just too far out of reach for many consumers or small business owners. 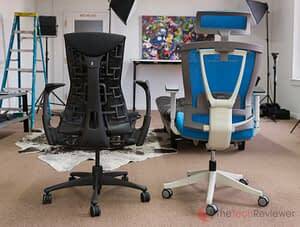 Given the Autonomous ErgoChair offers many of the same adjustment features as the Herman Miller chair lines at a fraction of the price, how they stacked up against one another was of great interest to me especially given their vastly different price-points. The base starts with the same five-spoke design each with their own wheel for ease of movement. 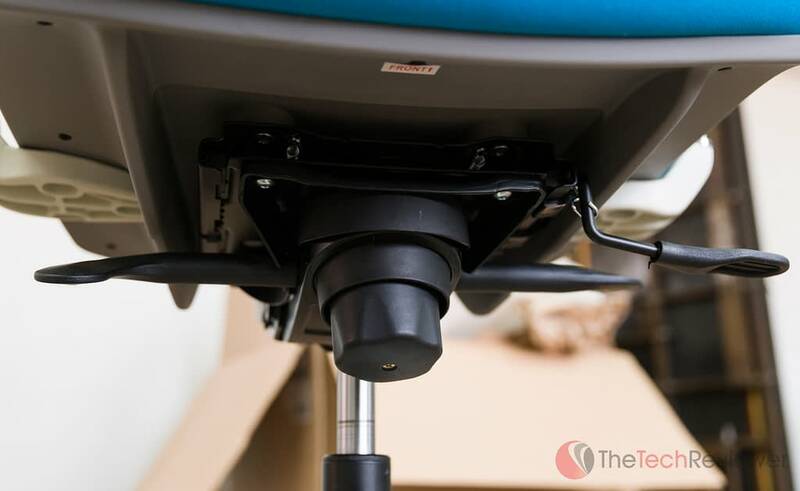 Attaching the seat to the wheelbase is a telescoping rod that's adjustable given the height of your leg or desk. 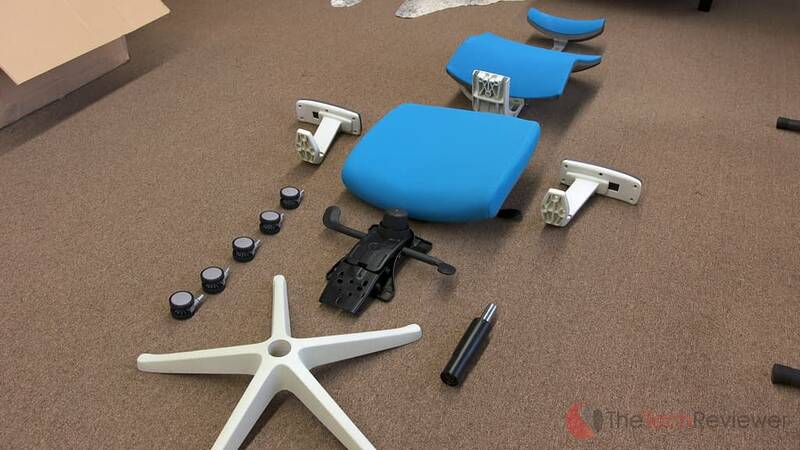 On the bottom of the seat are four different mechanisms used to fine-tune the adjustment of the chair. The padding within the seat feels plush and forgiving. Individual armrests extend out from either side of the seat (these are optional, but included) with multiple adjustment areas. The back of the ErgoChair harnesses a rigid spine much like the Embody that offers a point of adjustment. 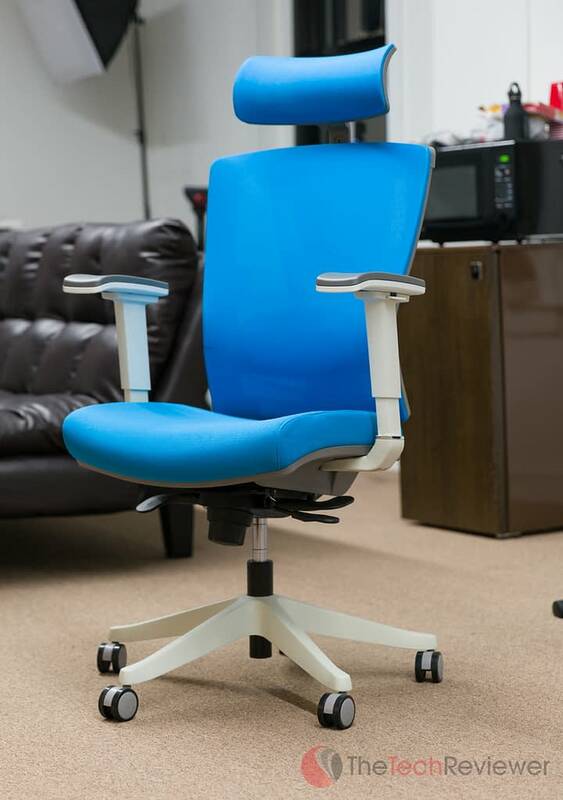 Included with every chair is a moveable lumbar back support as well as a head rest that can be adjusted to fit varying user heights. The back fabric merely consists of a mesh-style fabric spread taunt enough to offer some give when you sit back into it. While I am not crazy about the color choice, I ended up with (I prefer the look Black/White version), but I do like how the back fabric matches the base unlike most of the other color choices with the exception of Gray and Black. 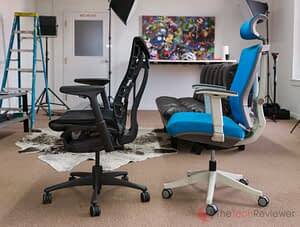 The chair itself looks professional enough to outmatch the price-point and is a nice addition to the office. From a design standpoint, I am quite impressed by what Autonomous brought to the table at this price-point. However, when it comes to overall quality it is an example of a “you get what you pay for” type of situation. 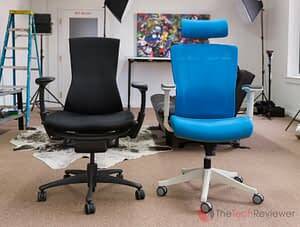 It's not to say the build quality is overly terrible, but comparing the ErgoChair with the Embody it is easy to distinguish which one would be sold for a higher price-point and which should ultimately last the test of time. 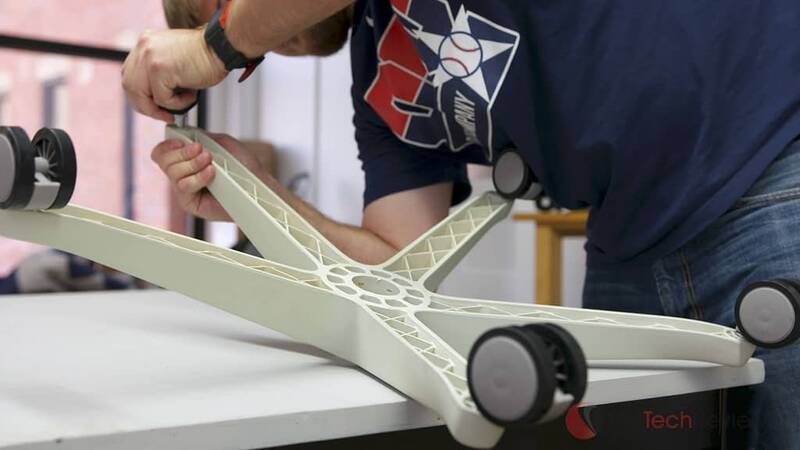 Most of the ErgoChair's build consists of a nylon plastic frame which seems rigid enough to support me although upon close inspection shows minor cosmetic defects like unevenly cut edges and little manufacturing blemishes commonly found on cheaper furniture. This is most evident in the arms and back structure which utilizes a low-grade ‘chrome' plastic that frankly looks cheap as well as uneven lines where the mesh meets the back framing. The wheels feel notably inexpensive, and I wouldn't be surprised if I have to replace them down the road. The fabric consists of a polyester fabric mesh back which feels reasonably good, but is another area of concern regarding longevity as wear and tear from everyday use can take its toll in the sign of marks, stains, tears or rips so this is an area of focus I'll have to revisit in 6-12 months. The chairs are shipped worldwide to over 30 countries (shipping costs differ based on location), and U.S. customers can get a 30-day trial where you can return the chair within 30-days for a full refund if you have a poor initial experience. The warranty period lasts 5 years, an acceptable duration although it falls significantly shorter than that of the 12-year warranty offered by competitors like Herman Miller. 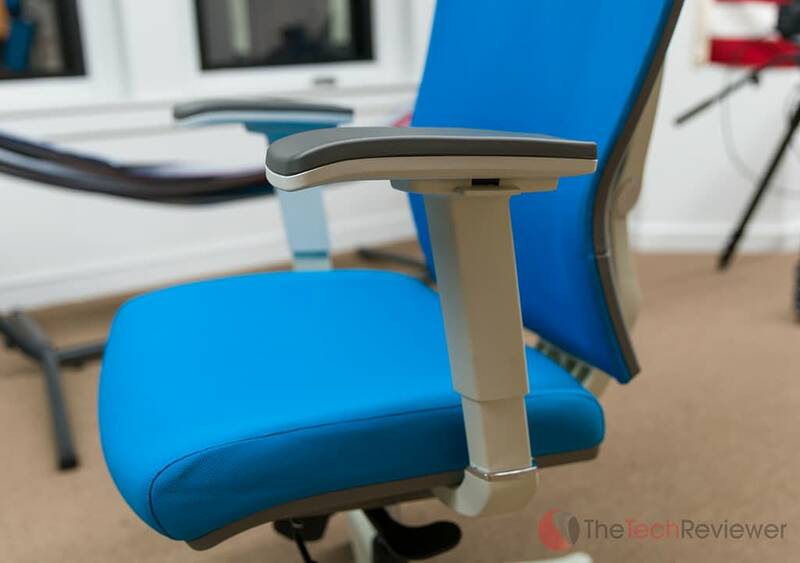 I have to give it to Autonomous when it comes to features as this ErgoChair has a wide assortment of adjustment options that rival those found in higher-end models. Several of these features are rather advanced and available only as add-ons to higher-end models or not offered at all in some cases (lumbar support and headrest). I will be the first to admit that I been spoiled on a daily basis with by sitting in my Embody for the last few years. It has served me well, and I have gotten to a point where I can sit 8+ hours and have no pain in my backside or legs from extended pressure, an issue I have experienced with cheaper office chairs. Switching to a significantly cheaper model seemed like a daunting change as it didn't appear to have the quality and finesse of a Herman Miller product, but I was up for the challenge. With any product, there are things I like about this chair (especially for the price) and some things I hate about this chair. When I first sat in the ErgoChair, I was not overwhelmed with comfort but after some tinkering, with the adjustment settings, I was able to dial in the best setup for my body type. It takes a bit of time to understand what component each level adjusts and to figure out how to utilize them in conjunction to achieve the most comfortable setting, but the ErgoChair's flexibility shines once you get the hang of it. Once dialed in, the chair felt great to sit in, and I spent the first workday using it without any major comfort issues and only a few minor comfort differences compared to my usual work chair. As someone with chronic back pain, the lumbar support is something I thoroughly enjoy using and something my Herman Miller Embody lacked entirely yet my Herman Miller Aeron chair (first-gen) offered as an add-on option. Having the adjustable armrests included at the base price is excellent as these are often expensive add-ons when ordering higher-end models. Both are comfortable especially for someone who doesn't use them on a daily basis although I have a gripe with the armrests which I'll get into within the next section. 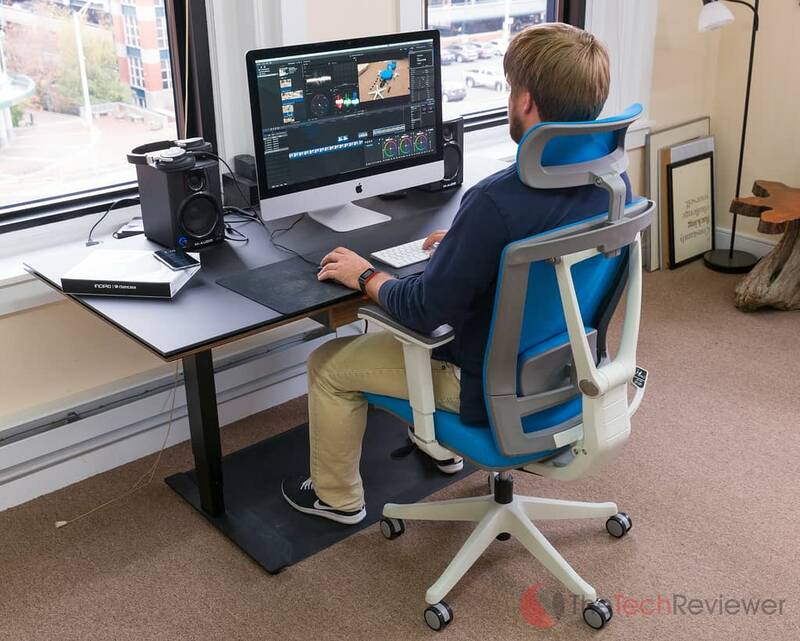 I am not used to my chair having a headrest, and I've realized how much of a benefit it can be for maintaining proper posture while at my desk as well adding to the overall comfort level when seated. This makes me glad to see it included at no extra charge with the base model since if it were an optional add-on I probably wouldn't have opted to spend the extra cash on it. 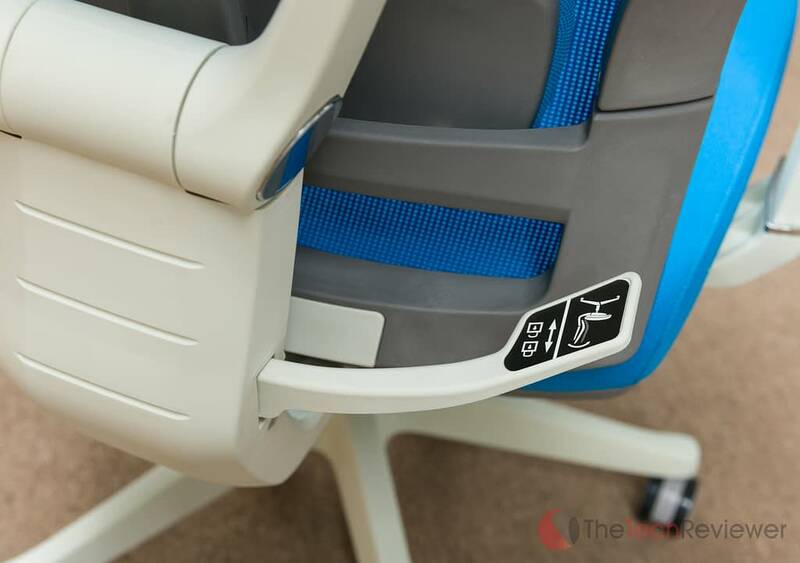 My biggest worries moving forward is the longevity of the ErgoChair as the wheels, mesh fabric and armrests feel cheap enough that they may potentially be a cause of concern down the road after traditional wear and tear has set in. 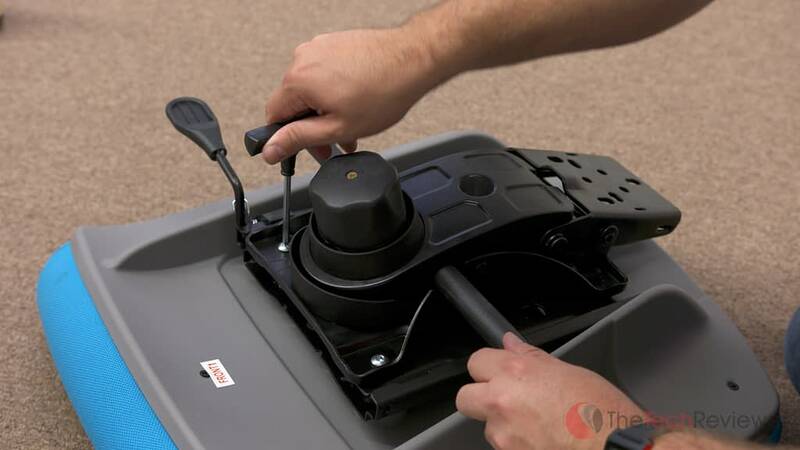 However, taking into consideration the affordable price-point with its 5-year warranty, this shouldn't be an issue as you will still save money going with this model over a more expensive option and in the worst-case buying a new unit every five years. 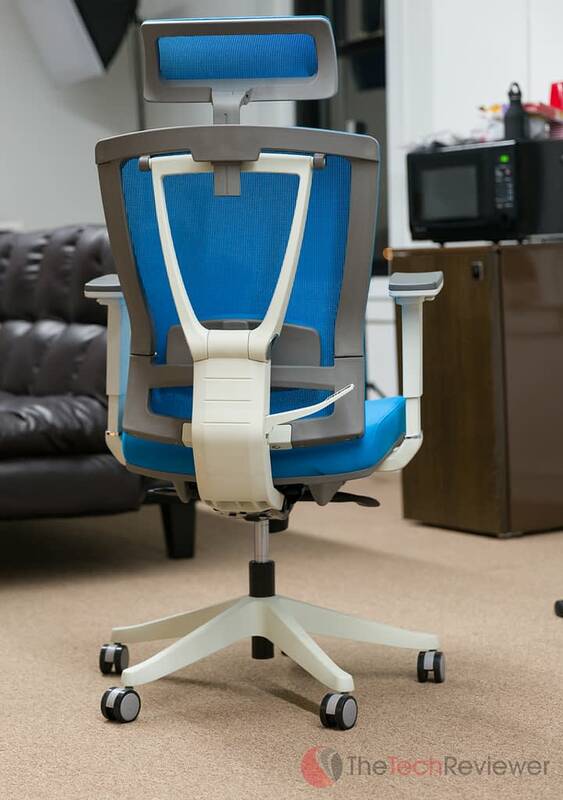 Compared to the Embody which harnesses a unique, patented spine-like structure, the ErgoChair isn't as forgiving on your behind and spine as the molded foam interior doesn't have the same level of individual flexibility. I did not have any significant pain after prolonged use, but you do feel a difference after sitting all day in both. Having said this, it is without a doubt the most comfortable chair priced under $250 that I have ever sat in. To even have it in the running with higher-end models that cost several times more is a notable feat. I found the armrests were the most disappointing aspect in terms of quality as not only is their build quality mediocre, but so is the execution. When you want to adjust the height of the armrests they can only be moved when you activate the side button as it should be. 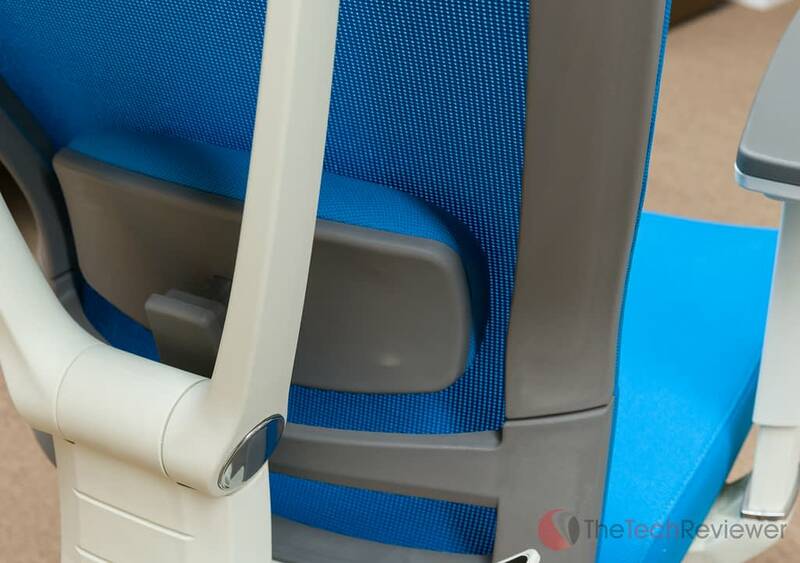 However, the decision to have free movement in the armrest length and width isn't ideal as they tend to shift too easily on accident and make for a less refined user experience. Higher-end models allow for you to lock all aspects of the armrest adjustments into place and I much prefer this. The mesh fabric used on the seat cushion and back of the chair is more closely woven than what I'm used to on the Embody. 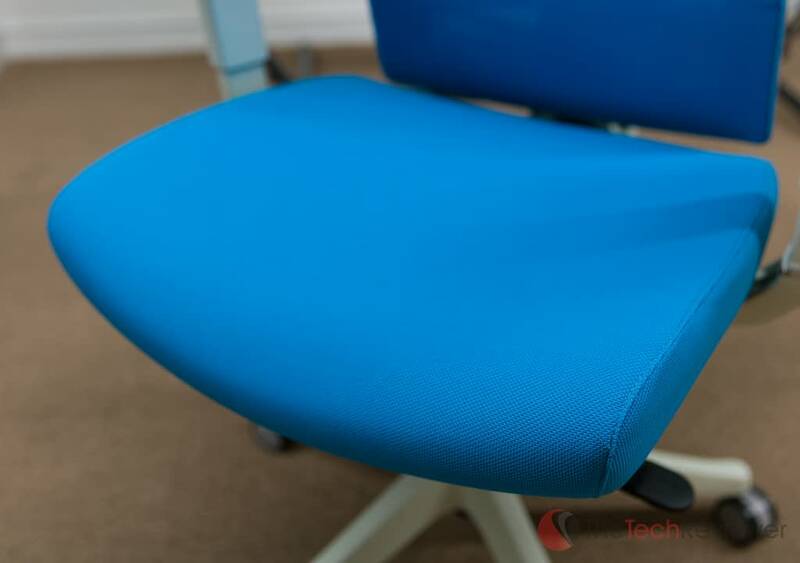 Due to this coupled with the foam padding, it feels notably less breathable than my Herman Miller's seat causing heat to build up under my behind and upper legs resulting in sweat or a hindrance on extended comfort. 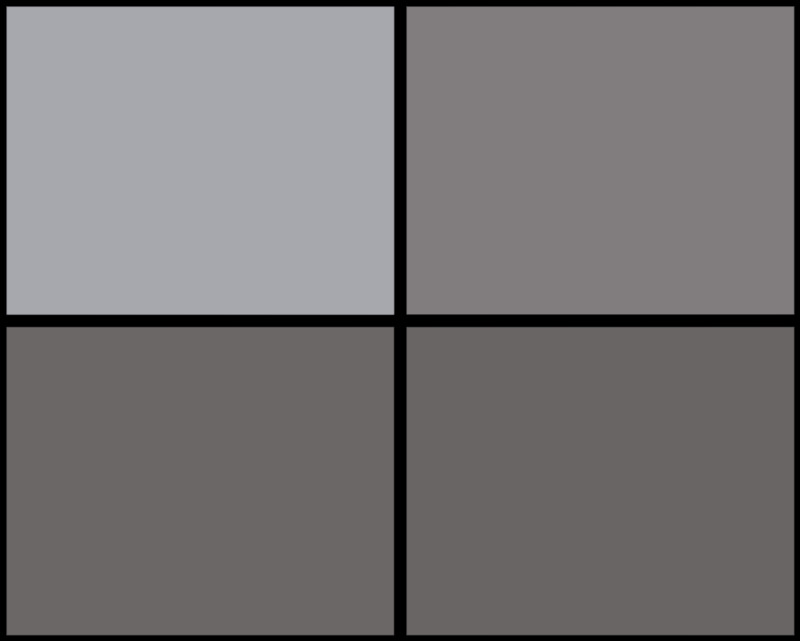 Something I have noticed is that the tension knob on the bottom of the ErgoChair is surprisingly stiff (especially when tightening the tension) at least in my review unit. This makes it difficult to adjust on the fly and it may be quite a challenge for someone smaller with less strength as it requires an exorbitant amount of energy to adjust especially compared to the tension knob on my Herman Miller. While I think the lumbar support is an excellent feature, my review unit has the tendency to come out of its locked position over time. This requires me to re-adjust the lumbar positioning on a more frequent basis than the other adjustment areas to pinpoint and maintain the exact spot for optimal relief. 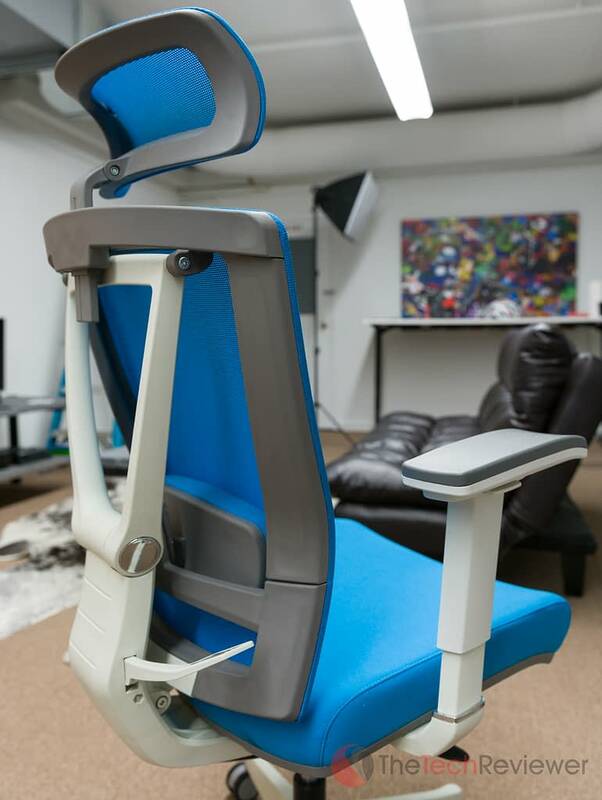 Autonomous set out to disrupt the office chair industry with their affordable ErgoChair model, and I think they have done just that. 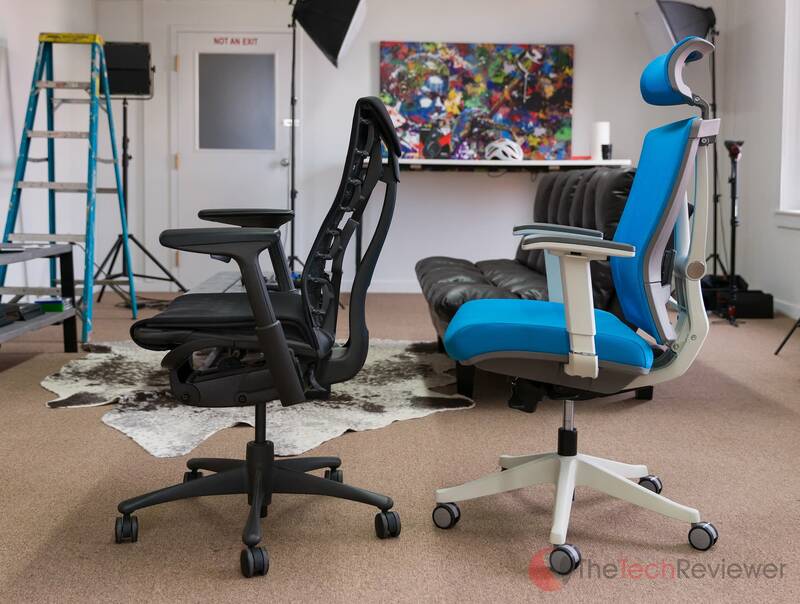 While it has some major differences in build quality with some minor downfalls in the realm of comfort, it is all relative, and the ErgoChair is the best “bang for your buck” office chair that I have ever sat on. At a sub-$250 price point, there just isn't anything else on the market that can compete with the level features, appeal, and comfort. 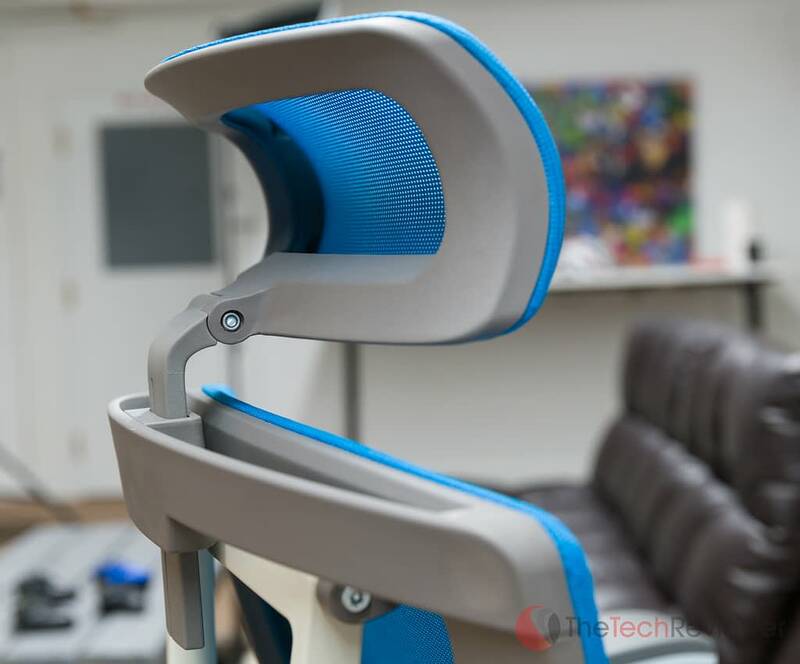 When you start moving up to higher price-points, you will find office chair models touting a better build quality, warranty or overall feel to them, but for those on a budget, the Autonomous ErgoChair should be a serious option to consider. Excellent first-hand user review, sir. Thank you! Awesome review, Colt! Your thoroughness and candidness is very much appreciated! That said, can you please shed more light on where specifically you decided to place the washers? Would you perhaps recommend leaving them off entirely instead of guessing? Or, even better yet, is there any chance you could reach out to your previous contact at Autonomous and report back where specifically they belong? Odd, both of my chairs came with instructions that were clear on exactly which screws and washers to use where. They are all labeled with letters and the instructions clearly show which letters to use in which locations. I’m 6′ 1″ and heavier than you and your kid. So far so good for the chair. At the top of the chair height and my legs are over 90 degree angle so can go down just a bit. Neck rest has plenty of range for me. Believe the warranty limit is 300 but not sure. I just ordered the second version of this chair. I hope they ironed out the kinks. But the price point is up $100. But there was is a sale for $50 off. So, I’ll see what i get. I also just got their business class electric desk and it seems good even with being panned here and there because of their Kickstart beginning. I hope they stay around to honor the 5yr warranty on the desk and chair. I agree, very thorough review! Appreciate it!! I’m not sure how you came to this conclusion when I am saying a $350 lesser-known brand is very similar and a solid buy compared to a $1500 name brand model. However, you are free to have your own interpretation just maybe reread the context of this article. ive had this for about a year now and the amount of mesh dust it creates in the back is just pure INSANITY. have you ever looked in the back? i vacuumed the crap out of it three times already but every few months it builds a literal mountain of dust. u have this issue at all? I’ve been using this chair daily since it first came out and am experiencing none of this surprisingly (my Herman Miller fabric is wearing from previous use). Do you mean the mesh material is “pilling” and becoming worn off? Is it coming from the seat material or the back? This is the first time I have heard of this. I’d reach out to their support to see if they can help replace the defective material for you as it should be under warranty. Price went up, warranty went down, looks mostly the same for the new version? The newer version has some slight improvements including a new adjustment function that my original chair doesn’t have. 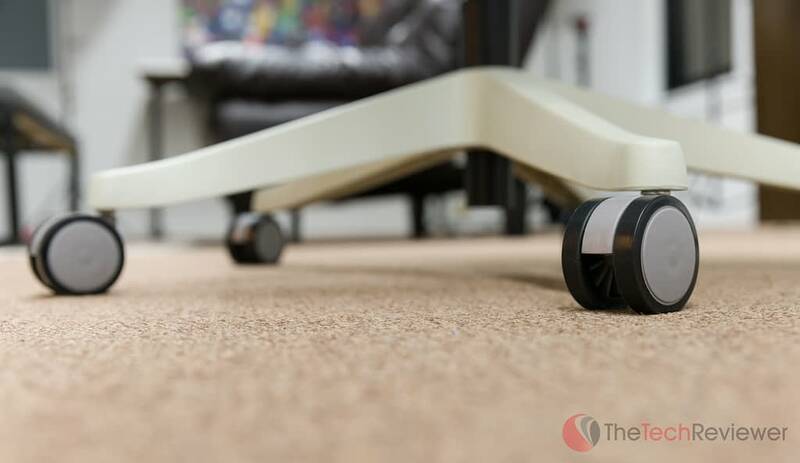 The pricing has increased slightly since the original model’s launch, but it still is very competitively priced for the appeal, design and functionality at this price-point. Hope that helps! Hi, thanks for your review. In a previous answer you said there some slight improvements, do you know what this enactments are? I read some review that lamenting problem with the bottom cushion, how is your after all this time? Last question: warranty gone down to only one year, considering this, still worth the money? The warranty is now 1 year down from 5 years. I’ve heard a lot of complaints about the seats wearing out after a few months and needing to be replaced with new cushions. Was about to bite on this until I saw the warranty change on another site. Seems suspicious. Heard that the seat cushion tends to go soft and you start feeling the bottom of it after prolonged use (~6 months).. how is it for you now? Hasn’t changed at all to me, it is soft but in a good way (never feel the bottom of the chair). This is just my experience though, others could vary.